Leticia Buni a long time resident of Stuyvesant Town passed peacefully on Saturday, April 6, 2019, surrounded by her loving brothers and sisters while holding her son, John Buni's, hand. 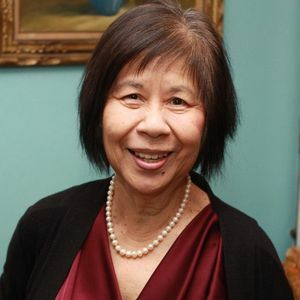 Leticia spent many years working at The United Nations and when she retired she organized tour groups to occupy her time and satiate her love of travel. Her fighting spirit was evident as she battled Alzheimer's for several years. If it had not been for the meticulous and diligent care of her sisters Susan and Nelida and brothers Joaquin, Ricardo and Romeo she would have lost the battle much sooner. Leticia lived a blessed and happy life surrounded by family and friends. She was the eldest and matriarch of 12 siblings (6 boys and 6 girls). She WAS "The Queen" of the family. She is now reunited with her husband Amado Buni Jr. She will be missed and always loved. Tita Nene, Leticia Guy Buni, she was a great woman, respected, loved, ferocious, tenacious and relentless woman and yet very gentle and loving, especially to her nieces and nephews. She was accommodating and always there when you needed her advice. When someone you love passes away, there is a strong temptation to remember them perhaps a little too well . We loved her lifetime of dedication and her self sacrifice serve as a monument to the exemplary woman. Her resilience hard work continue to inspire those who knew her. I would like to thank Tita Susan, Tita Baby,Tito Junior,JT and Tito Rick , they took good care of her during her last days. Tita Nene we will miss your humor, your generosity and your courage. RIP.